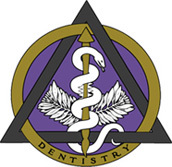 Dr. Gordon Ediger graduated from the University of Missouri, Kansas City, School of Dentistry. He has enjoyed practicing dentistry in Kansas City for the past 21 years. Dr. Ediger’s dental skills, in providing lifestyle dentistry for his patients, are paralleled by his extraordinary interpersonal skills. You will find him easy to talk with, having exceptional listening skills. His patients have learned to appreciate and respect his conservative philosophy balanced with great dental service. Dr. Ediger, along with his wife, Char, have 3 grown children, who reside in the Kansas city area. They find enjoyment and pride in making sure their dental family is well taken care of and have dedicated much of their time to dentistry. When they are not providing dental services they enjoy spending time with their family. Our skilled hygienists have many years of experience in taking care of our patient’s oral health. This care includes comfortable cleanings, cavity detecting x-rays and assessment of the gums and supporting bone tissue. They are personally interested in you as a patient and want to help you along the journey to great dental health. Our caring dental assistants make sure that your visits are comfortable and enjoyable. Their skills and experience help insure that you will receive the best possible care. They excel in fantastic, caring attitudes and enjoy making your visits the best possible. Our “children’s dental care team” is especially kind and soft hearted, making visits fun and easy. Children’s visits are especially important to us, making sure each visit remains positive throughout childhood and into the teen years. Procedure and specialist coaches, along with the Dr., are with you each step of the way during all dental treatment and procedures, such as Invisalign and teeth whitening . Any questions or concerns can be addressed immediately, 24 hours of the day. No concern or question is too small for expert care. Procedure coaches are available to encourage you during treatment and monitor your progress to help guarantee your satisfaction. You will find our business professionals knowledgeable and patient caring. They know the ins and outs of dental insurance plans and go the extra mile for you in addressing the best insurance coverage possible to coordinate financial arrangements. Each member has been handpicked for their knowledge, skills and sincere character traits.